MORE COUNTRIES LEAVING THE EU IN 2018? EARTH MOVING INTO NEW ENERGY ZONE? 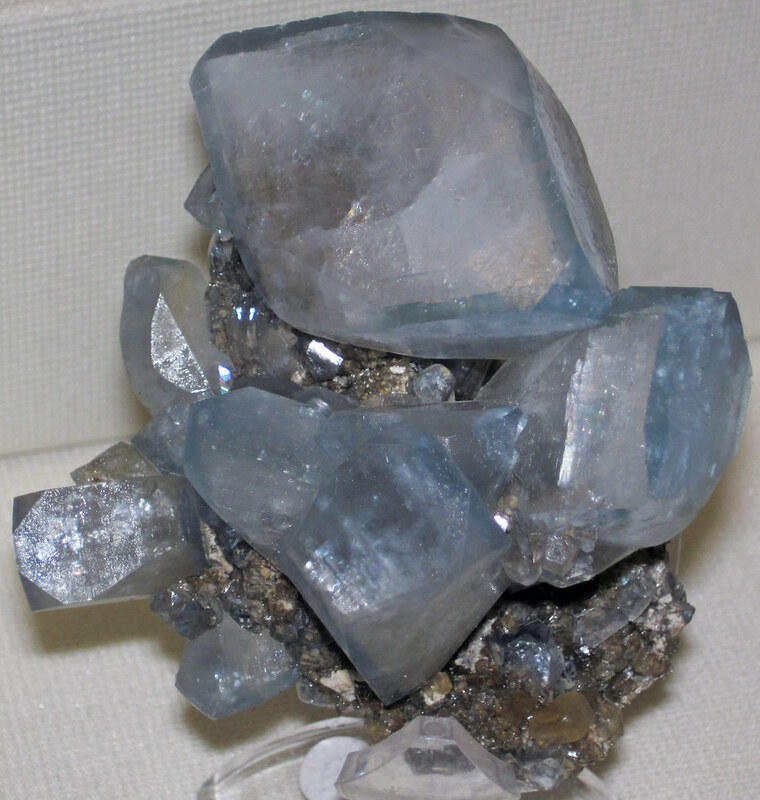 CELESTITE TO CONNECT WITH YOUR GA? THE GENTLE WAY I: Hitch writs: "Good book to teach different ways of using MBOs, and they do work!" ATLANTIS & LEMURIA: Anonymous wrote: "Amazing book for anyone that is interested in reading about Atlantis." GREAT GIFTS FOR YOUR FRIENDS! The Big WINTER SALE is on in the SEDONA JOURNAL OF EMERGENCE where I have a monthly column. My books are up to 50% OFF, so check it out at http://www.lighttechnology.com/. What great Christmas and Hanukkah gifts!! You can also call (800) 450-0985 to order. Be sure to use the code Winter1850 when checking out. If you are on Amazon Prime you can order them today for delivery before Christmas! I would really appreciate if you have read one or more of my books to take just a few minutes and write a review on Amazon or wherever you bought it. I now have 50 reviews on Amazon for THE GENTLE WAY II but are still three short of 40 on my ATLANTIS & LEMURIA book and four short of 40 on THE GENTLE WAY III. Please assist! If you have not bought one yet, go to my website at http://www.thegentlewaybook.com/chapters.htm where you can read SAMPLE CHAPTERS. Anyone that writes a review, just email me and I’ll send you my PREDICTIONS 2018 article. Eleanore writes: The asteroid that just passed through our solar system. Did it have a message for us? Click here. The astrologers don't paint very good readings for Trump and many feel we'll see his demise by the fall! 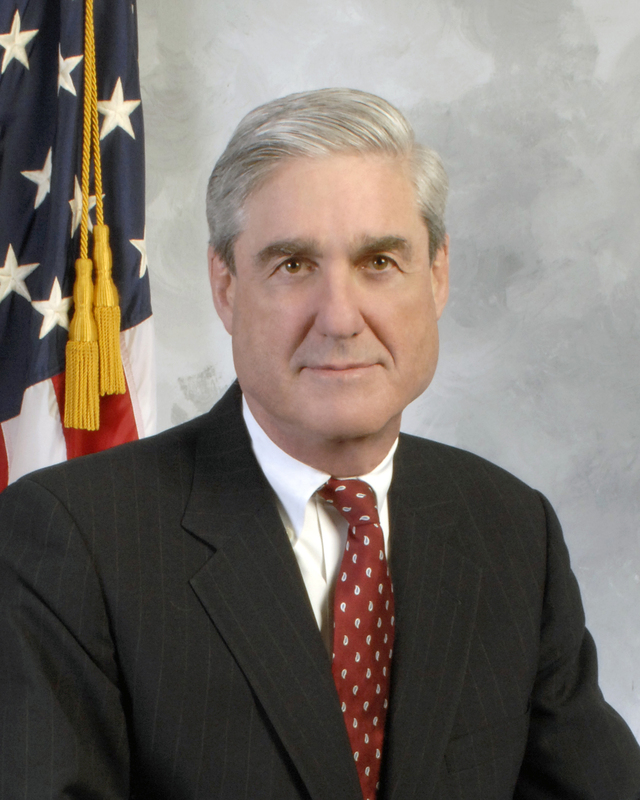 I researched Robert Mueller on your site and found nothing. Have you commented on his role in the current situation? The astrologers view him as the most powerful man in the world right now and say he will be through with his assignment by 2023 and out of the picture. I don't know how much stock you put in this sort of thing but, from personal experience, I have been astonished at how accurate this has been for me in many instances; not all, but enough for me to give it a modicum of credibility. That being said, if you feel comfortable with discussing this, I would like to hear your take on all of it. Gaia, is the long asteroid that passed through the solar system just a rock? And was it ensouled? What was its origin? How was it created? Yes, it is just a long oblong rock, we can call it, and yes it was ensouled, but no, it was not inhabited. The soul that inhabits it is on a journey to study stars and planets as I once did for millions of years your time. Its speed allows it to cover distances between solar systems quite fast. Was it created by a solar system blowing up, sending shards out all over the galaxy? Yes, there was a time when it was part of a planet that was torn apart during the star wars, or Reptilian War as you now term it. That gave this asteroid the speed it travels at now. There will be more like this in the future, but not before you learn how to protect Earth from a collision that would wipe out much life on Earth. You will learn how to move the trajectories away from Earth and onto deep space. Theo, what is Robert Mueller’s soul contract and past lives with the people he’s investigating? Yes, this is a significant life for Mr. Mueller. He is on his soul contract. He has had past lives where he was the subject of investigations by the same people he is investigating now. This is also a balancing life for him, you see. There will be indictments that are coming. It’s all in their soul contracts. Not sure where this question came from. Good morning, Theo, and good life to every one of you big soul fragments. Yes, you could say they are fragments of fragments as just a piece of them works as your guide, while perhaps thousands of other pieces are working as guides for other people in all time periods. They are all busy bees, just as you are for others. Theo, am I correct in the understanding that we can be a guide for thousands of people over all time periods while still having lives on Earth, or do we have to finish our lives or reach some level of achievement? As these lives are all happening at the same time, as a guide, you can draw on the experiences of all those lives in order to perform as a guide in your area of expertise. There is no sitting around waiting for your lives to unfold before you can be a guide. This might be really difficult for people to understand, as you think in a linear fashion, where time itself is in a circle. So, again, to answer the question, you act as a guide many thousands of times and it is all happening at the same time. You soul fragments are much more powerful than you and all your readers have understood so far. As compared to a life on another planet, your soul fragments are larger in order to have 12 parallel lives going on for each of the hundreds of lives you are living all at the same time, plus acting as a guide in your area of soul interest. (Another session) Gaia, it is my understanding now that our soul fragments are larger than normal—whatever normal is. Would you say our soul fragments are three times normal, or do we measure that way? At least three to four or more times the fragment size needed to have lives in other parts of the universe. As was explained to you, your soul fragment has to be in many places at the same time, so a large fragment of each soul is taking part in the Earth Experiment until the end. In the past you just assumed that your soul fragment was the same size and capacity as your soul’s fragment that is living a life on another planet in the universe. Now you know that soul fragments must be at times of greater capacity. Theo, are Bitcoins being used for terrorism? Yes, but not extensively. Bitcoins are a form of currency, and as such can be used to pay for virtually anything. MORE COUNTRIES LEAVING EU IN 2018? Theo, will there be any countries that will drop out of the EU in 2018? The highest probability at this time, Tom, is for there to be no reduction in the number of countries who are part of the EU in 2018. There are weak members, but they will be shored up as they do not wish to lose any more members. Kenna writes: From where I live in the UK I would like to plan ahead to live somewhere warm-ish during the imminent mini-ice age...Fortunately I am free to travel anywhere at relatively short notice. Please can Gaia give a ball park idea of the range of the cold/ice? Will it affect Mediterranean countries/Turkey and North Africa? Many thanks! Image, Cannes, France. Gaia, will the Mini-Ice Age affect Europe? Only a small part and not significantly. They will have at times harsher winters than there are typically today as the cold winds that sweep across the snowy land in North America are carried by the jet stream to Europe, even during the summer. It will be cooler than normal for many years, even as far south as the Riviera. Ellen writes: Question for your GAs: Listening to a fine psychic medium in your area, he spoke of alien/human beings with dual DNA, which I think you have talked about. So I wanted to ask, if this is correct, how would living hundreds of lifetimes work for those "hybrid" beings? For example, would a hybrid remain so on all time lines, for all their lifetimes? Or, could a hybrid here now choose to be only 100% human DNA in all other lives and timelines? I hope this makes sense, and thank you for all you do! Theo, just to reconfirm, we do not have alien/human hybrids living on Earth do we? Not at all, Tom. And in another way you could say that you all are hybrids as your DNA comes from your incarnations on other planets. But there are no hybrids living on Earth at the present time. Here we get into abductions, and has been explained to you by Antura, those have not been done in quite some time. Now it is just your home planets who are checking in on you as they are all amazed that you and the other souls have done what no other group of souls have accomplished in any universe—working with negative energy. As Antura said, you are quite the stars and you have what could be called your fan club. But again, a hybrid would be too noticeable. You’ll get to see what we mean one day in the not too distant future. He told me last week that his team had just arrived in one of those huge motherships that’s three-miles-wide, twenty-stories-high, with eleven levels. It has a crew of 900 plus their families totaling 1,500, representing 37 different planets. During the Reptilian War, as I now call the star wars, families were not allowed due to the danger of their ships being destroyed, so it was a “lonely existence.” This went on for thousands of Universal Years before peace came about. His ship relieved another similar-sized ship that had been on duty for five years taking very advanced readings. You can read much more about him, his planet, solar system, the mothership, and much more in my book FIRST CONTACT: Conversations with an ET. In case you have not heard, the NY Times published an article on December 16, which described a “Black Money” Pentagon program sponsored by the Senate majority leader Harry Reid to investigate military reports of UFOs that went on for several years. Here is the article: Click here. Here is also a story on CBS News that included an interview with the head of the program, Luis Elizondo. Click here. And finally, I must give credit where credit is due. Mr. Luis Elizondo now works with the TO THE STARS ACADEMAY OF ARTS & SCIENCE. Click here, to watch a short video of the very serious people that are heading this organization. Now for this week’s questions for Antura. Antura in the wings, Tom, good morning. Good morning, Antura, and good life. Are you overhead or on the other side? Other side, Tom, but as you know there is no time lag between us. Antura, will the disclosure in the NY Times and even on the major newscasts be the catalyst that will cause the Russians to finally disclose, or would it happen anyway? No, it was all part of the soul contract for Mr. Elizondo to go public with his role as the head of the Pentagon program, Tom. And yes, it will be the catalyst as the news people in Russia will now ask questions as to whether Russia has such a program. Is the date for their disclosure before or after January 1? Just a little before, but that is somewhat fluid, as they and you are in a holiday period. The Russians now see that there is interest but no hysteria on the reports coming out about the “Black Money” Pentagon program. Antura, why have several people reported that the interiors of scout ships appear to be larger than the exteriors would indicate? It is not an optical allusion as you might first think, Tom. It’s as if you cloaked the outside of the spacecraft to appear smaller than they actually are. It’s part of not wanting to frighten people who actually see one flying past them. The interiors are much more expansive or roomy (I know you like that word) than they appear. When you and your family come with me in one of the scout ships, there will be plenty of room for all of you and your equipment, as I know you had some concerns there. Christine writes: This newsletter prompts two questions for Antura. 1) I saw that on the night of Dec. 4, there were multiple reports from across the US of sightings of unusual lights in the sky. Click here. Was this their ship? 2) I’ve seen the movie Arrival two times now and was impressed with the theory of linguistics that forms the foundation of the story: that the language we speak shapes the way that we think, the way our brains operate. In the movie, the linguist played by Amy Adams learns the alien language, and begins to understand that their language reveals a completely different understanding of and relationship with time. She is then ‘given’ the insight to experience time as the visitors do. How will language play a role in our meetings with the visitors? Will it shape our thinking, our brains, to develop the capacity to communicate with them? If so, any insight on that? Will people embrace that or become afraid of it? That makes me think of the dynamics of creating a trusting relationship. Any insight on that? Antura, did your mothership make an appearance over the USA around December 9? If not, who? It was not our ship, Tom. It was a ship from another galaxy—not another universe, as you might have thought. It is all part of our continued program of giving everyone on Earth a reminder that UFOs are real and for you to continually discuss the sightings, especially that they should not fear them. How will languages play a role in our meetings with extra-terrestrials? As we have discussed before, we have translator devices that translate every sort of sound someone makes in the universe, and even thoughts if they cannot speak, chirp, hiss, or make any other known or unknown sound. We can provide you with these translators for communicating with us, but we cannot provide them for when you begin to contact other societies that are not as far along as Earth humans. You must learn how to communicate and construct your own translators. At first you will find it easier to use telepaths, but eventually as you learn each language there will be computer-type devices first for each language, then combining all of them as we did in the past. So the short answer is that the initial people you meet will all have translators, but as you explore the universe you will discover beings where you will have to learn their language, or use telepaths. It will be one of many, many challenges you will face after you learn to portal hop to other solar systems and other galaxies. Antura, back to the Russians for a moment. The probability of their disclosure is now over 90% in the next 30 days, or longer? Let’s use the 30 day period, Tom, as we have been told by the Pleiadians that it is about to happen. 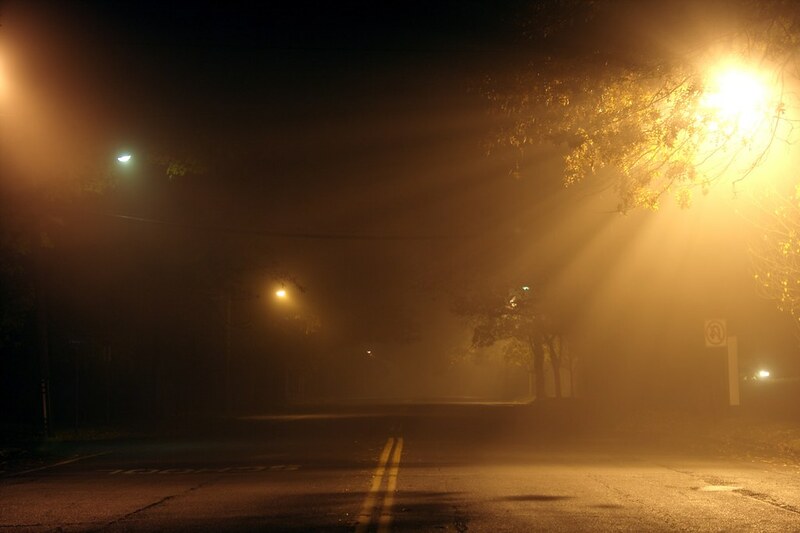 Ralonne in Ventura County, California writes: While the fires in Ventura County were destroying homes and people's lives, I began BPs to Gaia and all beings to send fog and to lower the wind intensity to help firefighters gain control of the fires in order to stop the destruction of people's homes... I've been saying these BPs since Tuesday morning (12/5). Yesterday afternoon (12/8), fog started rolling in and the winds died down enough to allow helos and fixed wing aircraft to drop more water on the Thomas Fire areas of Ventura County. Gaia came through. 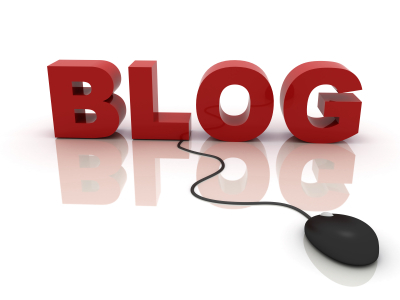 Christine writes: First - thank you, again, for introducing us to MBOs and BPs. They make such a difference in my life. I request Most Benevolent Outcomes for every class I teach (I teach adults) and amazing things happen. We have very interesting conversations, people come to understandings, healing occurs. I am not a perfect teacher by any means, but strive to make every class one that offers a chance for wisdom, love, and personal growth, and I believe that MBOs are very important to achieving my mission. Linda writes: I’m being told that this flu season will be very challenging. I suggest we all say an MBO for ourselves and BP for our friends and family. Ray writes: Just read an article that claims experts think the Zodiac Killer could have been Ross Sullivan. Will you ask your guides if Ross Sullivan was the Zodiac Killer? Click here. Gaia, was the Zodiac Killer Ross Sullivan? Ronald passed along a blog by Art Rosenblum that says: Click here. Gaia, has our solar system moved into a new energy zone? Yes, in a way, Tom. Various people have predicted this energy area and have called it multiple names. It is an energy that is and will assist for the Explorer Race’s growth. To explain it in detail you would have to have a more scientific background, and even then it would be difficult to describe, as there are energies on multiple dimensions. Gaia, does Celestite assist in contacting one’s guardian angel and to develop psychic abilities? The energy connected with Celestite can assist in contacting your guardian angel, especially for those who are new in working with these energies, Tom. You have used Celestite in a past life, so it is not unheard of. This also fits into the category of what you believe. If you truly believe something assists you, then it does. Ron asked about Willie Nelson. Gaia, a question or two about Willie Nelson as he enters the final stage of his life. What is his soul interest, and in his next incarnation will he again play and sing country and western music, or will he explore some other modality? Exactly, Tom. His soul interest has been, and will continue to be for a number of lives, music. Remember he is not only a musician and singer, but also a writer. In his next life, will he continue with what is termed country and western music or will he explore other types of music? He is a troubadour and writer that will adjust his music to tell stories in whatever time period he is in, Tom. But he does enjoy all genres—even classical. This is a significant life for him, Tom, as you can well imagine. And yes, his love of cannabis has helped to break down barriers, so he plays a political part just by his appearance. Will his next life be significant too? No, not to the extent of this one. He will continue, though, to write and compose. He is a catalyst of sorts. Would he be considered an old soul in terms of Earth lives? Yes, but in the first quadrant, not the latter part. 1. As your soul interest is religion, did you, Tom Moore, visit or worship there when it was a Shiva Temple? 2. As a Shiva temple, was it mainly used by royalty and dignitaries or people from all backgrounds? 3. When will the basement rooms be publicly exposed to the world and evidence of its original purpose as a Shiva Temple be revealed? 4. Does the Indian government know its true origin as a Shiva temple? 5. Obviously, it would appear that the original builder’s soul contract was to build it as a Shiva temple and then Shah Jahan’s soul contract was to commandeer it and convert it into an Islamic monument for his deceased love. So, why is it in the world's soul contract to be conned/mislead into thinking it's a monument to love? 6. 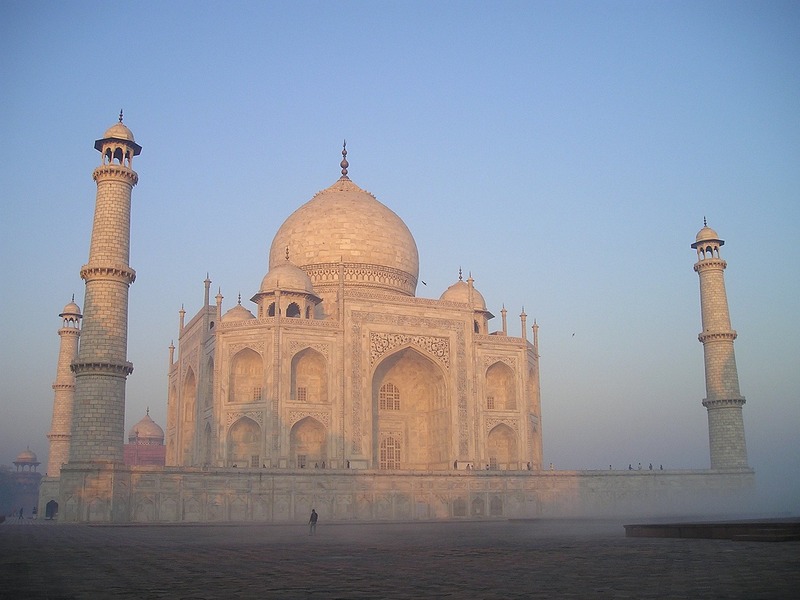 Speaking of its appearance, how much difference in appearance is the Taj Mahal today from its original design as a Shiva Temple? 7. It seems like a beautiful idea that there would in the world somewhere be "The World's greatest monument to love from a man to a woman." So, why didn't that idea ever materialize properly; why was it built onto a Shiva Temple rather than somebody's soul contract to build it from scratch and be a true monument? Theo, 1. Did I visit or pray at the Taj Mahal when it was a Shiva Temple? Yes, of course you did. You were one of the Shiva Priests in one life. 2. Was the Temple for everyone, or just Royalty and dignitaries? 3. When will the basement be exposed? It will be quite some time, Tom, as those in charge are quite content with how it is portrayed at the present time, and there are also those who recognize that even though he story is at best inaccurate, it still attracts the tourists and their money. 4. Does the Indian government know about the story of the Shiva Temple? Yes, of course. Again, they do not wish to upset the apple cart. 5. Why is it in our soul contract to be misled? See the answer about the tourism. It is a beautiful structure, whatever the origin. 6. 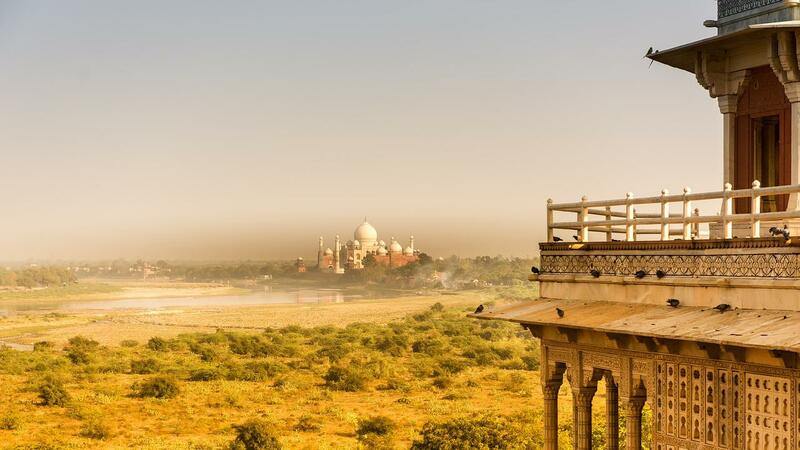 How different today is the Taj Mahal from the original? Not so different. 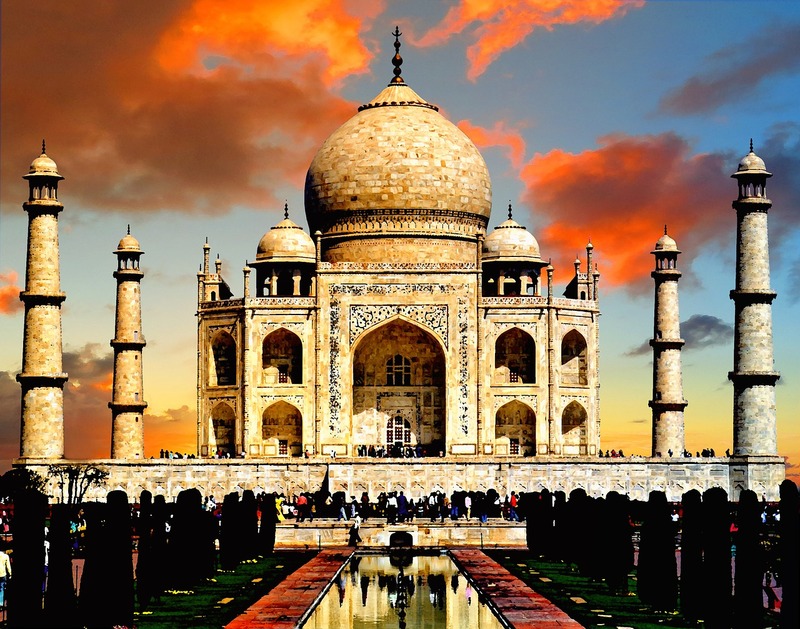 There are people who have made copious studies of the Taj Mahal and are pretty accurate in what changes were made from the original. Just google. 7. Why was it not a monument to love from the beginning? That’s an easy one, Tom. The Temple was built by and with the funds and workmanship that only a religion at that time could muster.